Steve Quinn couldn’t send them to the L’Oreal Paris hair and make-up room like Tim Gunn does on Project Runway. They’re just too big, too famous, and too fragile. We’re talking about the furry animals that populate the 43 dioramas on Floor 1 of the American Museum of Natural History’s in the Hall of North American Mammals. So how do you buff, puff, make up, color, groom, blow dry, restore eyelashes, color brows, and repair noses on New York superstars that have been in the (literal) spotlight since the early 1940s? That’s the subject of AMNH’s YouTube sensation, Restoring Dioramas in Hall of North American Mammals – a 16-show reality series that won a prestigious Webby Award earlier this month. Download the North American Mammal app (with before and after looks at the enhanced fur). Steve Quinn leads a team of accomplished artists to, well, perform makeovers on the animals, plants, and background paintings that reside inside some of the most famous 3D attractions inside the AMNH. Steve told us that the first step was to update the decades-old lighting inside each case with state-of-the-art illumination that would inflict much less damage on the mammal coiffures. His team engineered wooden platforms that extended into each scene so that leaf-turning and snow repair could occur with minimal disruption to the diorama floor. If you watch the 4-minute videos, you’ll see how they fixed a bison’s nose, put whiskers on cougars, restored the grass on the Great Plains, and restored the jackrabbit’s ears. The runaway hit of the series is Updating the “Moon Shadow” in the Wolf Diorama. With over 8,000 views, it’s not going to knock Dr. Neil off the AMNH charts any time soon, but Steve’s magical artistry is something to savor. Just before Steve retired the other week, he gave us a special Night at the Museum, walking around and visiting his favorite dioramas after the visitors left. Steve, you’re a total rock star. 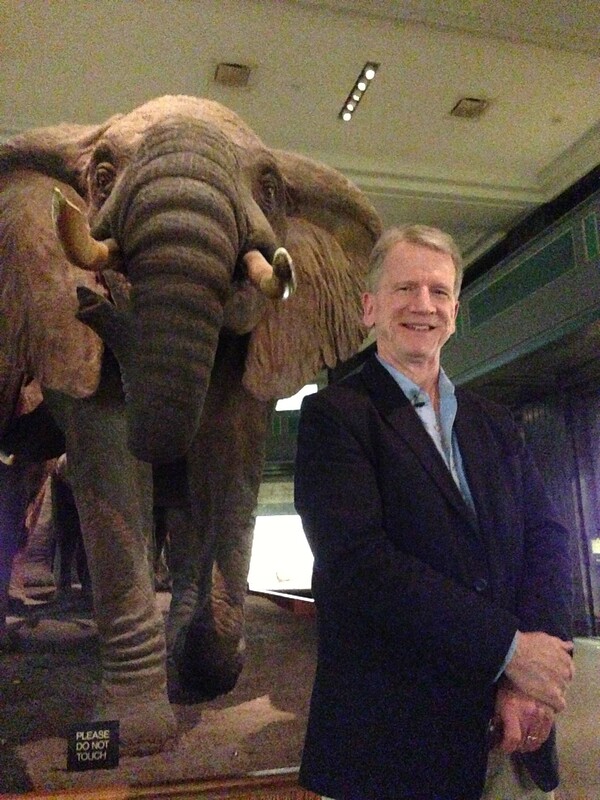 Thanks for all your spectacular work at AMNH over the years, and congratulations on the Webby. This entry was posted in Art, History, Museums, Nature, Social Media and tagged art, design, history, museums, nature, painting, science, social media, video by mssusanb. Bookmark the permalink. Thanks for posting the exlcelent flickr series!You’re right, the older museum models are fascinating. I was lucky enough to get a peek behind the scenes in the Paris Museum of Natural History where stored away were giant demountable models of snails and the like, but this time made from papier mache9.BTW I presume you’ve seen the exlcelent book,’Windows on Nature’, all about the making of the AMNH dioramas. Thanks for the compliment on the Flickr shots. You’re very lucky to have gone behind the scenes at the Natural History Museum in Paris — a destination that some of my paleontology friends will be visiting in May. I’ve heard that it’s all fantastic? Thanks for pointing out “Windows on Nature”. 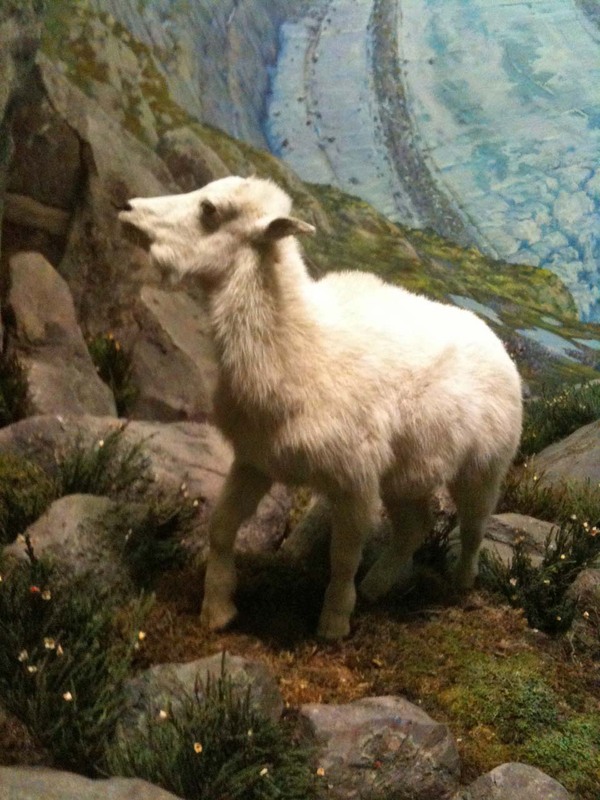 We were lucky enough to get a after-hours tour one night by Steve Quinn, who wrote that book and who supervised the refurbishing of the North American dioramas. What a treasure and what an experience, getting to see it all in real time through his eyes. Thanks again!